Cloud SSO allows teachers use a variety of learning apps with no user account stress! Willis needed a secure and automated portal to access all applications with 1 set of credentials per user (that they can reset themselves if required). Willis ISD is located 45 miles north of Houston in Willis, TX, serving roughly 8,500 students and staff. 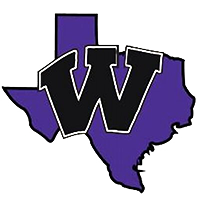 Encompassing sections of Montgomery and Jacinto Counties, Willis ISD facilitates 5 elementary schools, 2 middle schools, 1 high school, and an alternative campus in one of the most rapidly growing US areas. With 6 years of UMRA and SSRPM experience, Willis ISD looked to draw upon its long-standing confidence in Tools4ever’s solutions. “We’ve partnered with Tools4ever since 2010.” recalled Stephen Shannon, Senior IT Manager, “You guys have always listened to what your customers said and made improvements on what we needed.” At the time, however, Tools4ever’s HelloID SSO remained in development stages forcing the district to implement another solution. The next spring, Willis discovered a fully-released HelloID and jumped at the more affordable solution and the opportunity to expand its partnership with Tools4ever. “The idea of using SSO through a product we already have integrated with our system,” Stephen reiterated, “just makes sense.” The district was able to see how HelloID would operate in their environment and finalized their implementation that fall. listed there,” explained Courtney. “There’s no longer any worry of ‘what’s that website?’, ‘what’s my login for that one?’ – Mom doesn’t have to worry about ‘I didn’t bring my book home’ – it’s all there on one site,” she continued.